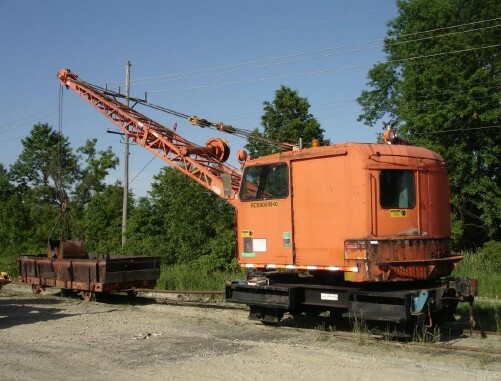 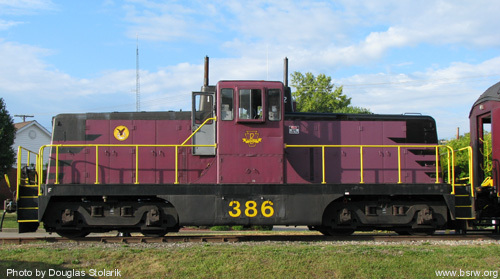 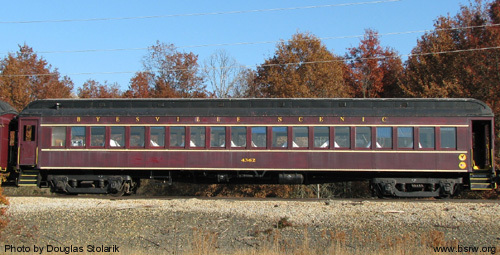 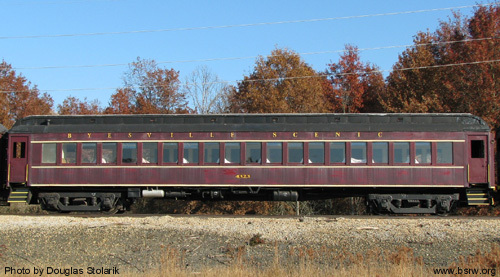 Burro crane, acquired from Norfolk Southern in 2011. 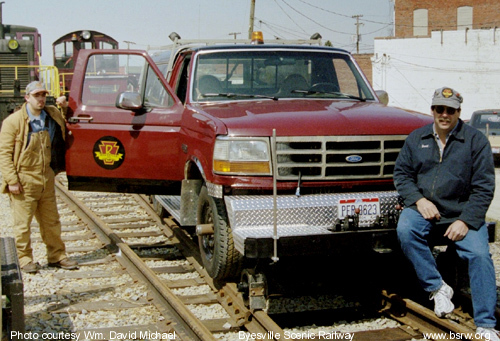 Aaron and Dave with our newly refurbished Ford F150 hi-rail truck, May 2008. 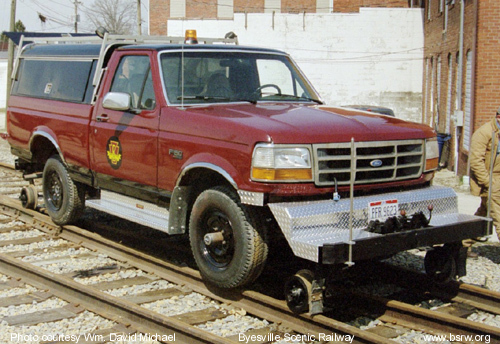 Our Ford F150 hi-rail truck was refurbished by our volunteer members in early 2008. 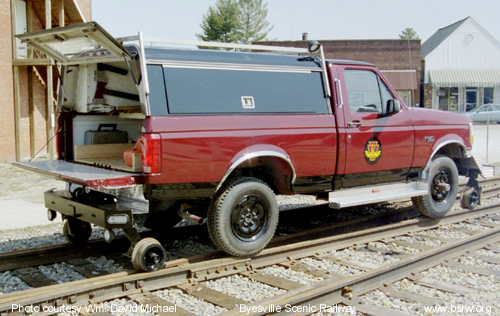 Another view of our newly refurbished Ford F150 hi-rail truck in Byesville. 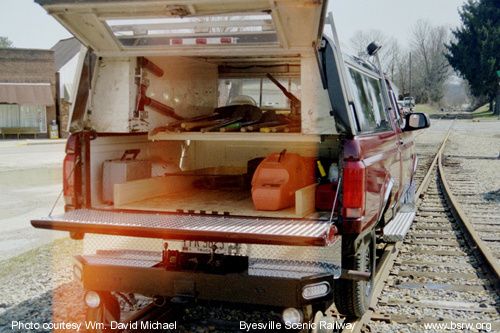 Tailgate view of our Ford F150 hi-rail truck in May 2008.